Store dry goods, cookware, tools, and more in a complementary sealed environment, safe from weather and pests. 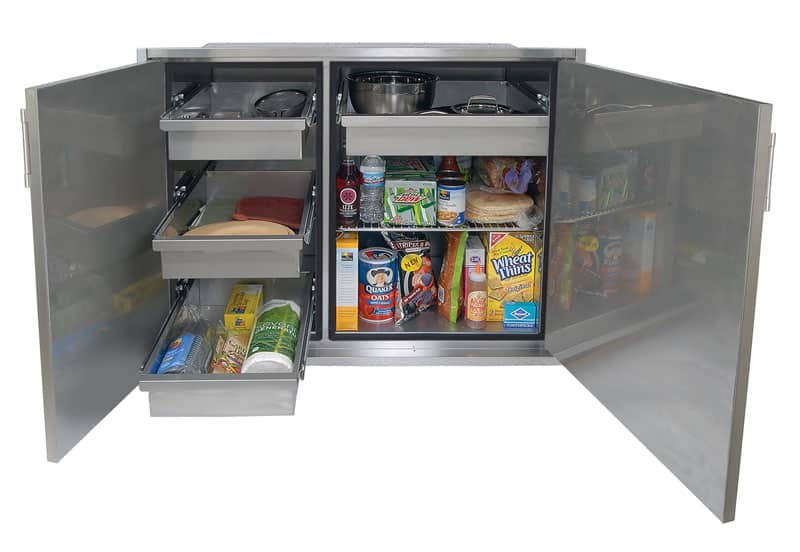 With five size options to choose from, sealed pantries feature drawers and adjustable shelves. 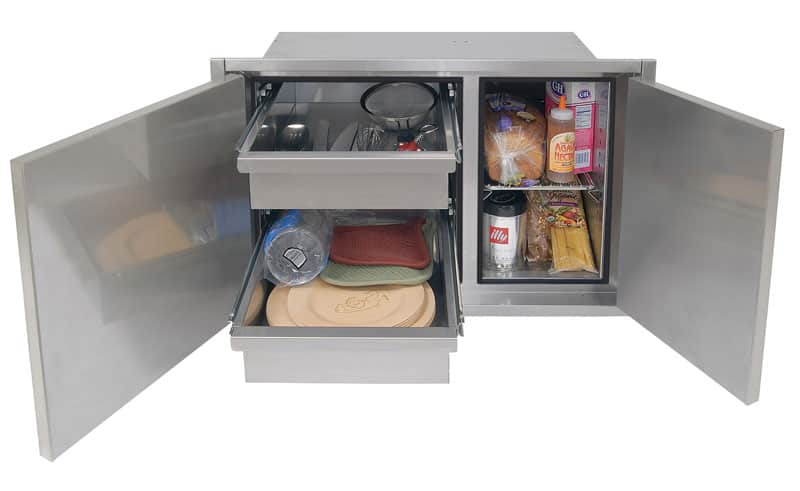 Commercial-style insulated foam gasket on the cabinet face makes for a tight seal, and a new integral rain gutter diverts water around and away from the cabinet.